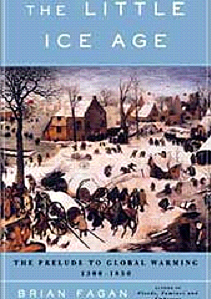 Please read Brian Fagan's book "The Little Ice Age" which deals with how the weather affects policy and how it was during the period known as the Little Ice Age (ca. 1300-1850). There were more crop failures than usual in Europe during this time. In the late 1600s, it was such a severe crop failure here in the north that one-third of the Finnish population died of starvation. He also tells us more about the French Revolution. Science News Feb. 9 2013 tells of a new study on Europe's climate and weather by Ulf Büntgen working at a research station in Switzerland, Swiss Federal Institute for Forest, Snow and Landscape Research. He and his colleagues have done extensive tree-ring studies from northern Slovakia to study summer temperatures from 1040 right up to 2010. He then found that the major social upheavels have coincided with cold spells. When it's good weather and good harvests, and when people have enough to eat people do not want to rebel. It is hard to fight. Certainly there are mad kings that want to expand the size of there countries and might defend a particular religion, but when it is crop failure due to poor weather masses become restless and begins to move. The article is called: Filling the gaps in the Eastern European millennium-long temperature reconstructions. Publiseh in Proceedings of the National Academy of Sciences.